Many people walk into the grocery store and feel out of control. Confused as what to fill your grocery cart with? Tired and bored of buying the same type of foods over and over? Overwhelmed about reading food labels? Spending too much money on food? 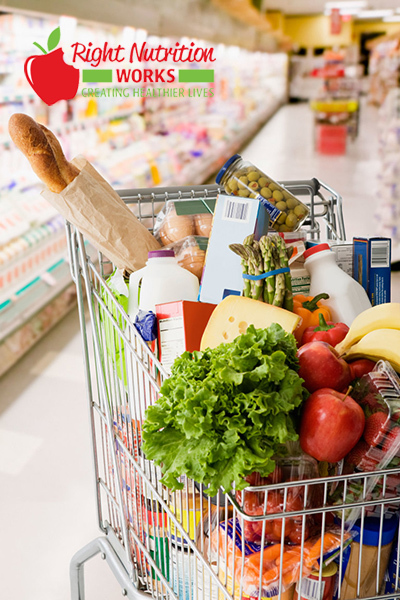 Grocery shopping can be a daunting task if you are unsure what to buy and how to buy. Remove this stress when you take a shopping trip with me, where I show you how to shop with an eye towards your HEALTH GOALS. I will help you learn how to shop right in a practical and interactive way. Grocery shopping and meal planning tips. Empower yourself to change your life and your nutrition by learning what you should be filling your grocery cart with. Click here to register, now, and I will contact you to schedule your tour. Bring a friend with you and share the cost. Interested in doing this as a group? No worries. I can arrange the grocery tour for groups of up to 5 people. You share the cost and learn a lot.